** - Since ca. 2005. 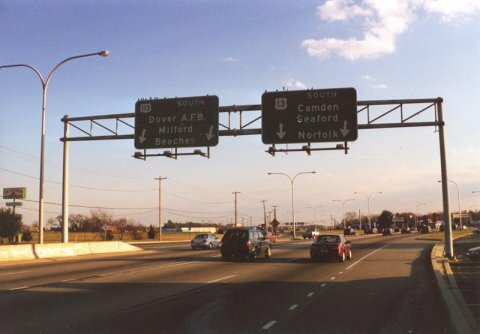 Previous terminus was at US 13 in Dover, DE. 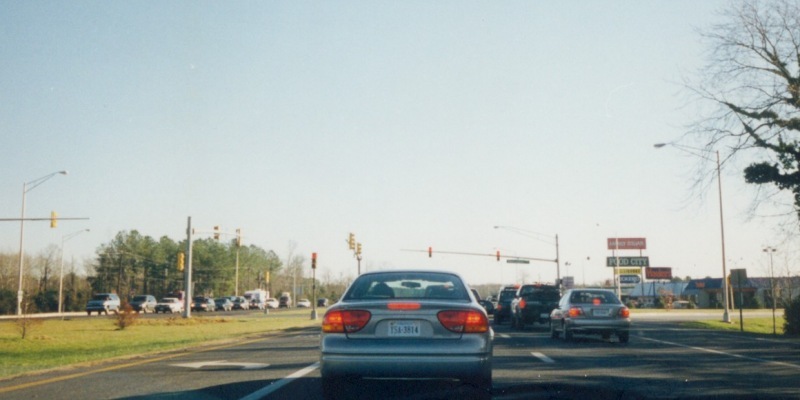 No signage shown in the photo, but this is southbound on US 13, where US 113 intersects and has its southern terminus in Pocomoke City, MD. Photo by Adam Froehlig, taken November 28, 1999. This dark image is the former US 13/113 split in Dover. US 113 no longer extends to Dover but instead ends in Milford. Photo by Alex Nitzman.